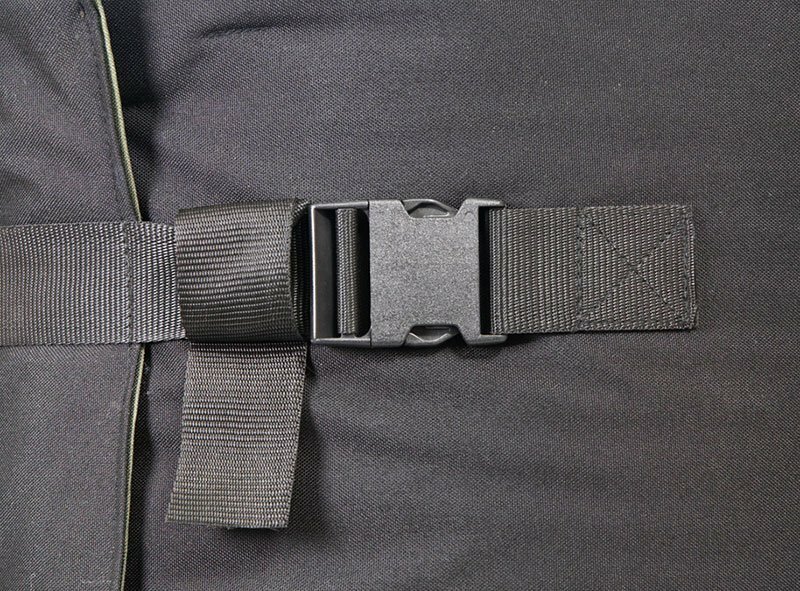 Fabric Style Heating Jackets are the most common method of heating the contents of Intermediate Bulk Containers. 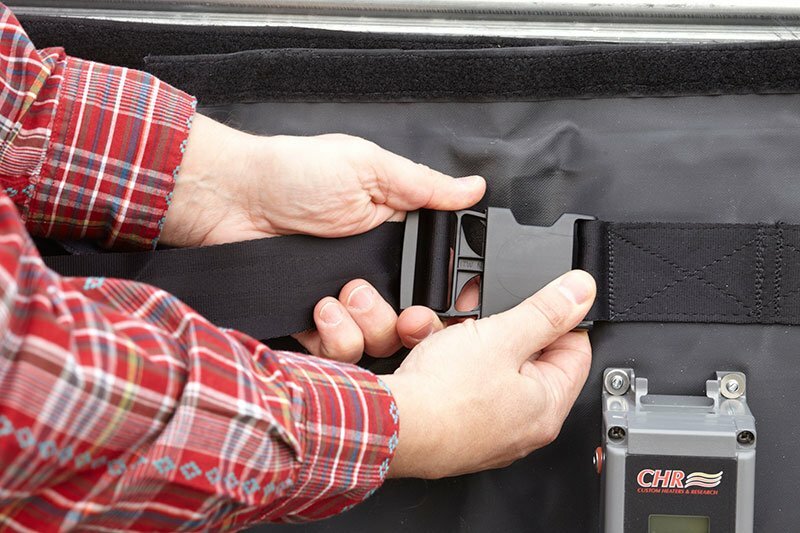 Simple to install and easy to move from one container to the next, these Heating Jackets are made to fit the most popular sizes of plastic bottle “caged-style” Intermediate Bulk Containers (220, 275 & 330 gallons). 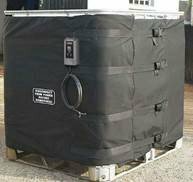 When used on the “caged-style” Intermediate Bulk Containers which have a protective frame around them and plastic tank within, the Heating Jacket doesn’t actually make physical contact with the tank itself. The heating process is done by heating the air around the plastic tank and for this reason CHR Inc. recommends the use of an Insulation Lid to retain the heat. 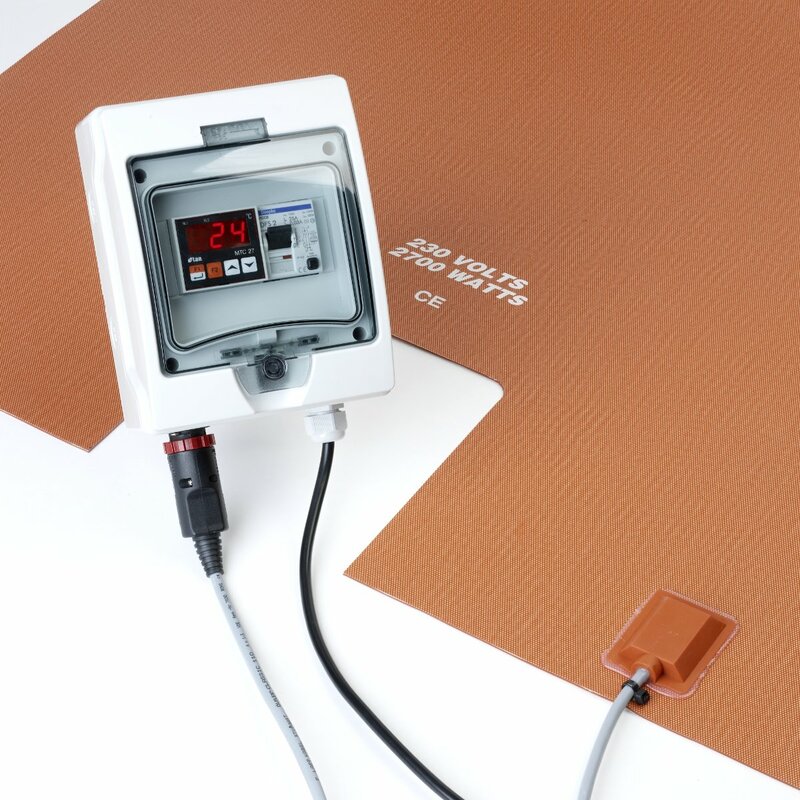 Match the Heating Jacket to your available supply power voltage (typically 120v or 220v). Consider if the Intermediate Bulk Container will be heated outside and exposed to the weather. All CHR Inc’s Intermediate Bulk Container Heaters are suitable for extended outdoor use WITH the Insulating Lid installed. What temperature is desired for the contents of the Intermediate Bulk Container? 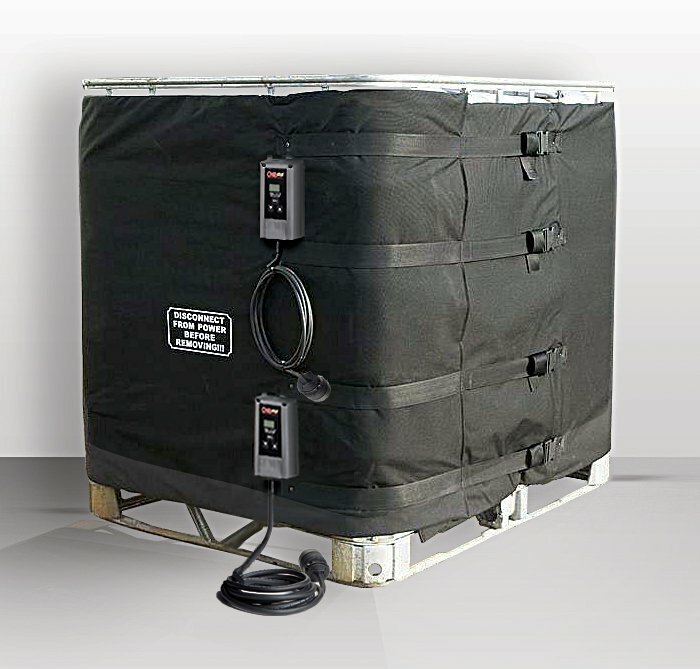 If the temperature delta (difference between the environment temperature and desired temperature) is greater than 40 degrees, it would be wise to consider utilizing a High Power (2400-3600) watts or Heavy Duty Insulation for your Intermediate Bulk Container Heater. 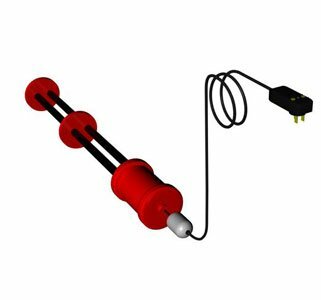 Silicone Intermediate Bulk Container Heaters are a specialized heating solution that is used by many industries to keep thermally sensitive products at appropriate process temperatures. These IBC tote heaters are placed under the container. These heaters are designed for heating a multitude of products which are contained in an “In-Box” or “Bag-In-Box” style intermediate bulk container. This Under-Tote heater can be customized to suit various container sizes and in some cases can be used with Plastic Bottle “caged” Intermediate Bulk Containers for gentle warming and frost protection applications. 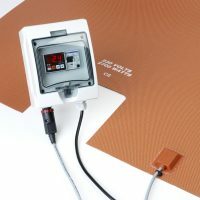 The Under-Tote Heater makes direct contact with the bag or box which contains the product so it is ideal for providing direct and uniform heating to products. Typical materials range from glucose to wax, honey and shampoo, corn syrup and liquid soap, the Under-Tote Heater offers excellent thermal control and uniform heating ensuring that the thermally sensitive product contents do not exceed maximum temperatures. Submersible heaters get dropped into the contents of the Intermediate Bulk Containers. By being submersed in the material, these IBC heaters have extremely efficient heat transfers. 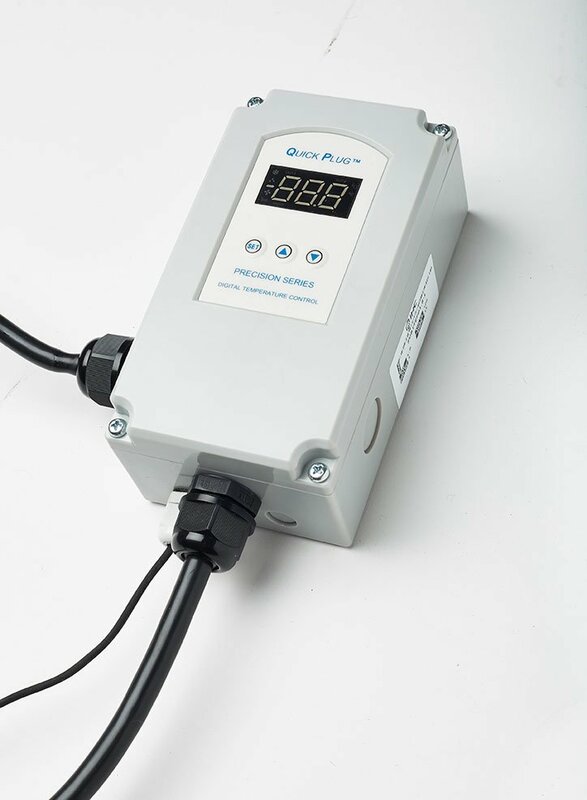 For many applications where keeping the contents sanitary having a heater in the contents of the Intermediate Bulk Container wouldn’t be suitable, but when it is a submersible heater can be a good solution or an easy way provide additional heat. 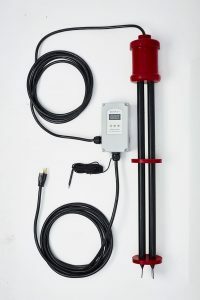 The CHR submersible heater is made with a self-regulating PTC element which reduces the chance of having a low content level cause a burnout (should the contents be drained out). CHR submersible IBC tote heaters are made from Teflon (PTFE) and silicone, and are compatible with many chemicals and have a Digital Temperature Controller.